GOTTA STAMP WITH SUZANNE JOHNSON: MY DIGITAL STUDIO TOOLBAR IS BACK & BETTER! MDS users start up your happy dance! The new update for your program will give you the ability to CUSTOMIZE your toolbar! Want that "Save" button back up there? You got it! How about the "Align" button? Yep, you can put that one up there too, or not! Whatever you want! Just point your cursor on the toolbar area, right click, select "Customize Toolbar" from the popup menu, then start customizing! Here is some MDS inspiration to get you going! 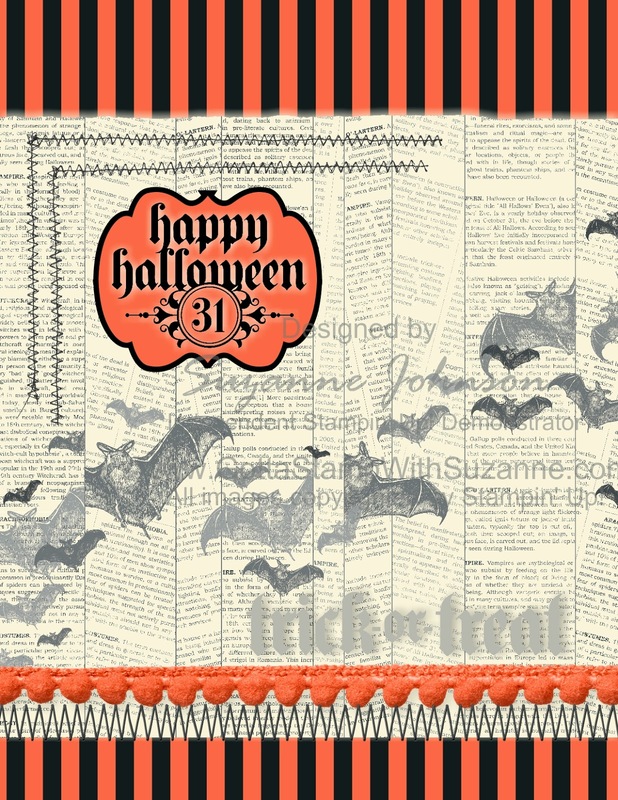 I created this all-digital Halloween card that features the scrumptiously scary "Witches' Brew" designer paper, with "Howlstooth & Scaringbone" paper in the background. Some stitching, pompoms, stamps and a label decorate it! If you don't have My Digital Studio yet, the upcoming holiday season makes this the perfect time to get started so you can create your own custom holiday decor, cards and gifts!